Huge opportunities are available for drivers that seek out and drive home one of the impressive Dodge Ram trucks for sale near Vegreville. 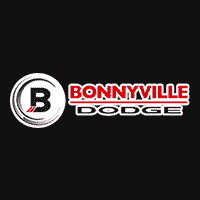 Equipped with all the modern models you could want, the team at Bonnyville Dodge is here to make your experience a great one as we introduce you to the variety of options, features, and class-exclusive greatness that has earned the Ram brand a worldwide reputation for being the top of their game. Choose from models that have more cabin space, longer cargo beds, 4×2 or 4×4 drivetrains and much, much more. You’re in good hands when you work with the experts at our store, that’s for certain! Take a few moments to review the specs and models online and reach out to us if you want clarifications. We look forward to making your life better. But let’s start with finding you the right Ram 1500 for you. Choose models that range from the Ram 1500 equipped with Canada’s Best-Selling Engine, the 3.6-Litre Pentastar VVT V6 to the 3.0-Litre EcoDiesel V6 and the 5.7-Litre HEMI VVT V8. The Pentastar offers 305 horsepower and 269 lb-ft of torque along with outstanding fuel economy. When you need even more power, the available 5.7L HEMI® V8 produces an impressive 395 horsepower and 410 lb-ft of torque for a towing capacity up to 4,826 kg (10,640 lb). Not only is the 5.7L HEMI Canada’s best-selling V8, based on the past 6 years of registration data, it’s also the heart of the Canadian Truck King Challenge winner for 2017. Find your match for Dodge Ram trucks for sale near Vegreville at our store today! We want you to know that you’re going to find what you’re after at our store – and in that spirit, we want to connect with you for all your future driving needs, too!